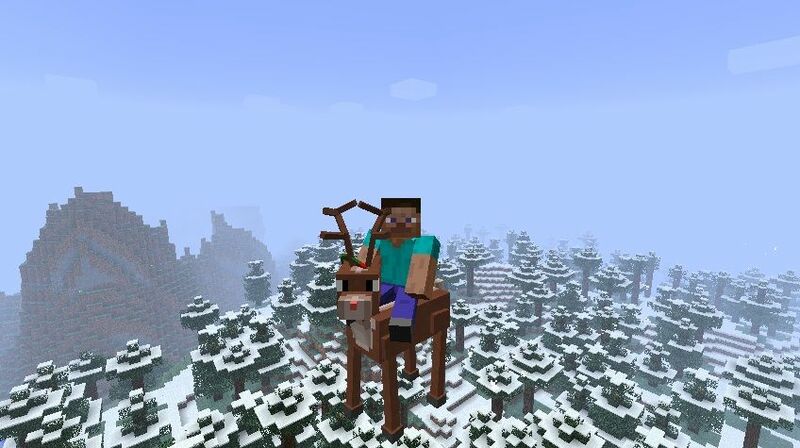 The reindeer bike allows you to fly around on a reindeer. The reindeer bike is made out of spruce saplings. It runs around in the air leaving a trail of snow.